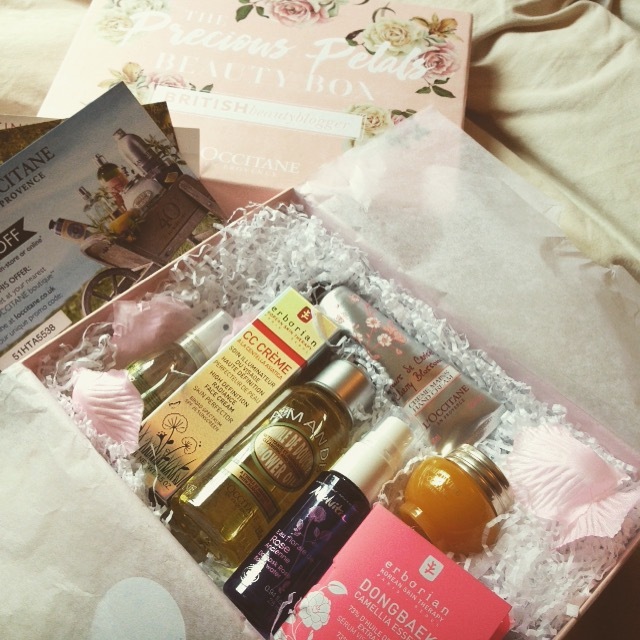 I’m a big fan of the Latest in Beauty boxes curated by Jane at British Beauty Blogger and have bought most of them in the past. So although this one, Precious Petals, was sent to me as a sample for review, it’s exactly the sort of thing I would buy myself and recommend to friends. The latest BBB box is currently on limited stock so here’s a closer look at what’s inside. There are seven products in the box, a mixture of sample and full sizes. Three different brands are represented, all falling under the umbrella of the L’Occitane group. As the theme is petals, expect flowers, nature and freshness in the scents and ingredients. This rich anti-ageing moisturiser is quite expensive, usually £74 for the full size, so the box version is a great chance to try it out. I’ve used this before and it’s my favourite product in the box. It smells just delicious and feels very luxurious to use. You only need a tiny bit at a time so I would expect this decent-sized sample to last a few weeks. L’Occitane are the experts in hand cream, and I’m sure you’ll know this classic with its pretty cherry blossom scent. Erborian is a Korean and French brand, so with this colour correcting cream you’re getting the best of international skincare. It gives a light coverage with an SPF of 25. Don’t be alarmed that it comes out of the tube grey, then goes beige before it settles down. This is normal for CC creams as they adjust to suit the skin. This will work for most paler skin tones, though probably not for darker skin. This is a rich facial serum with a light, oily texture and faint floral scent. The Dongbaek tree is a type of camellia, also known as the Rose of Winter, so it’s quite an evocative scent. A dry oil for face, body and hair, presented in a little spray bottle which is great for travel. A deliciously refreshing rose-scented spray, for giving skin a pick-me-up throughout the day. I have donated it to The Teen who is in the midst of GCSEs. I can’t take away the stress but I can make it smell better. 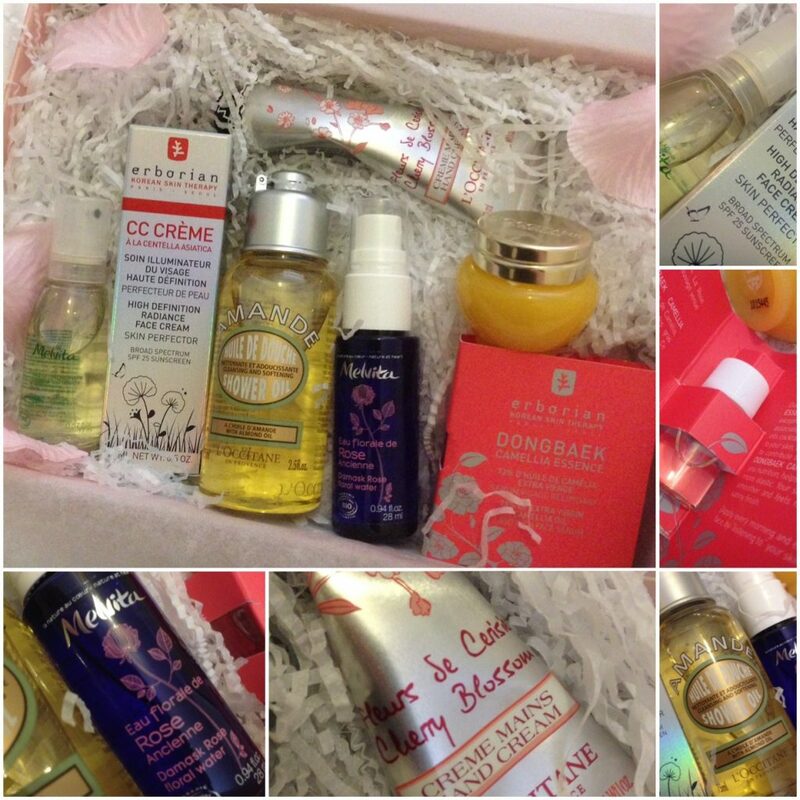 The box also contains £10 vouchers from each of the brands in case you like the samples so much you want to invest in a full size version. So the total value of the Precious Petals box is £57.75, making the price of the box at £20 including delivery excellent value. As you can see, it’s beautifully presented, with pink and flowers on the outside and white tissue and pink petals on the inside. Buy it as a gift, or (as I normally do) buy it for yourself and have your teenager pilfer it. Precious Petals by British Beauty Blogger is currently on limited availability at Latest in Beauty. There are only ever a small number of these boxes and once they’ve gone, they’ve gone, so if you like the look of this one I wouldn’t hang around too long. RRP £20 including postage. UPDATE – There are a few of these boxes left, and if you use code PETALS5 at the checkout you will get a fiver off, bringing the cost down to only £15. Offer runs until 30th June 2016, or until stocks run out. UPDATE – I’ve removed the link because the box is now sold out. What do you think of this box? 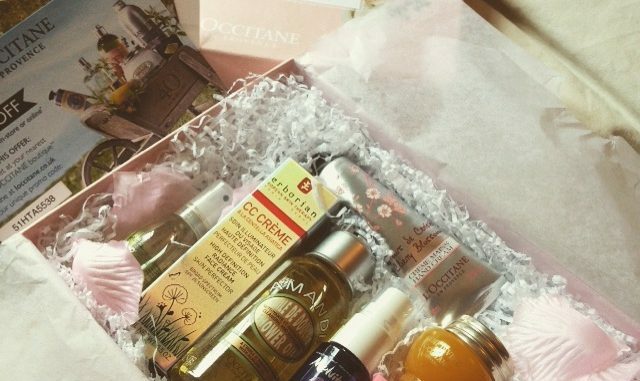 Do you have any other beauty box recommendations?